Life insurers in Asia have been looking to the U.S. for potential acquisitions as growth slows at home. (Bloomberg) — Sumitomo Life Insurance Co. agreed to buy Symetra Financial Corp. for about $3.8 billion as the Japanese company seeks to expand in the U.S.
Symetra investors will receive $32 per share in cash plus a special dividend of 50 cents a share, Bellevue, Washington-based Symetra said Tuesday in a statement. Symetra closed at $24.47 in New York on Aug. 6, the day before Reuters reported that it was exploring a potential sale. The higher price benefits Symetra investors including Warren Buffett’s Berkshire Hathaway Inc.
Insurers in Asia have been looking to the U.S. as growth slows at home. Tokio Marine Holdings Inc. agreed in June to buy Houston-based HCC Insurance Holdings Inc. for around $7.5 billion, and Dai-ichi Life Insurance Co. struck a deal last year to acquire Protective Life Corp. for more than $5 billion. “This transaction will further enhance our financial and earnings foundation by expanding the size of overseas revenues, diversifying the revenue base and thereby enabling us to build a well-balanced overseas business portfolio across Asia and the United States,” Sumitomo Chief Executive Officer Masahiro Hashimoto said in the statement. 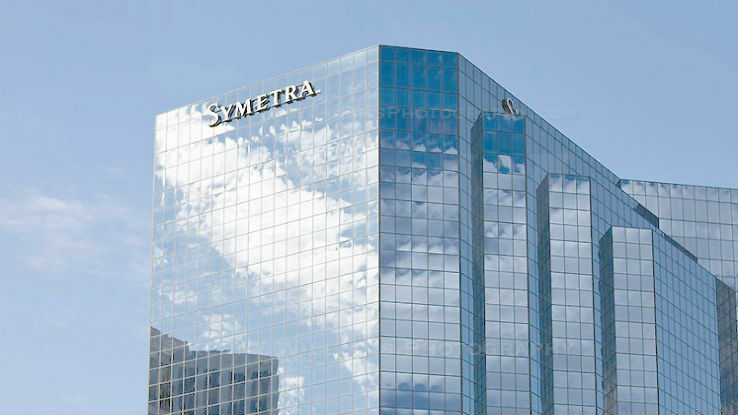 The deal is expected to be completed by early in the second quarter of 2016 and Symetra’s management team will continue to lead the business in the U.S.
Symetra, formerly a life insurance business of Safeco Corp., was bought in 2004 by investors led by Berkshire and White Mountains Insurance Group Ltd. The insurer sold stock in a 2010 initial public offering at $12 a share. Berkshire, which holds a 17 percent stake, and White Mountains, with 18 percent, agreed to vote in favor of the deal, according to Tuesday’s statement. Symetra CEO Tom Marra and his deputies have “done a good job running the company and have executed a great deal for shareholders,” Buffett said in the statement. Japan’s Meiji Yasuda Life Insurance Co. agreed in July to buy Portland, Oregon-based StanCorp Financial Group Inc. That sale boosted speculation that Japanese firms may acquire more U.S. life insurers. Morgan Stanley is Symetra’s bank on the deal while Cravath, Swaine & Moore LLP was a legal adviser.